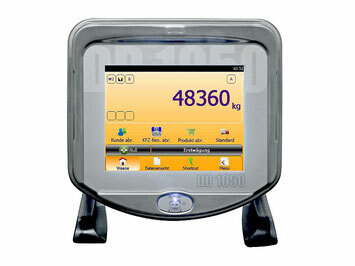 Diade Model DD 1050 weighing terminal. 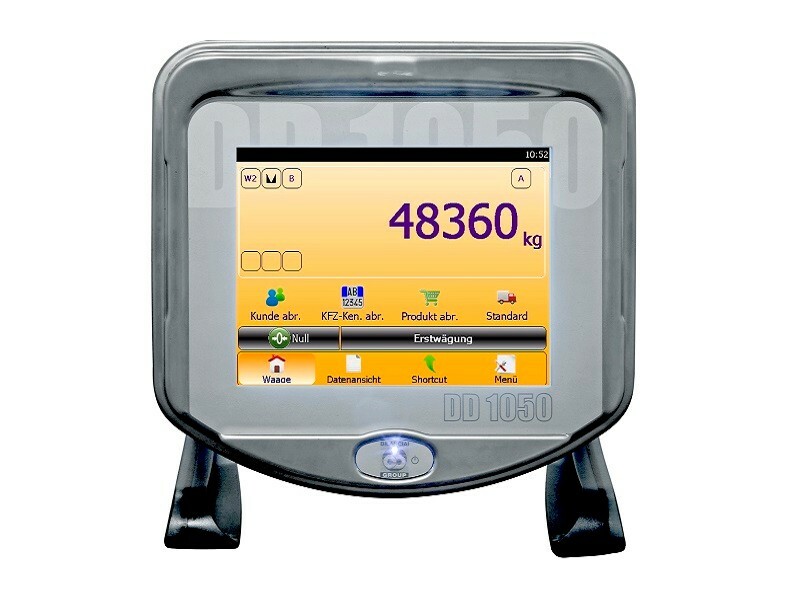 The DD 1050 terminal is designed for industrial applications features the standard measuring software required for weighing management. 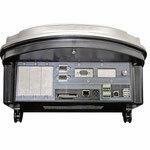 To complete the terminal, various specific items of software are available for different weighing applications. 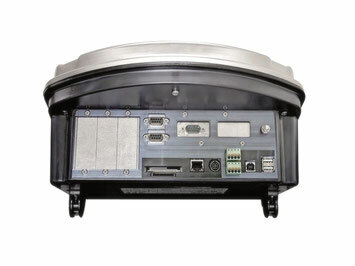 Designed for industrial applications; body in ABS with a stainless steel front. 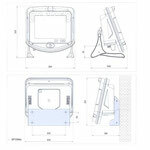 Available in both bench and wall-mounted versions. For applications in “harsh and aggressive” environments, the completely stainless steel version is available with IP68 protection. 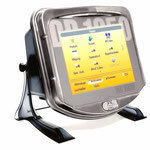 The 10.4” colour “touch screen” colour display features easy-to-understand icon graphics and the screen layout can be readily personalized for specific applications. 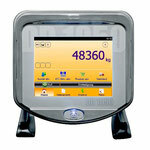 DIADE Series terminals are equipped with measuring software for managing weighing. Optional applications software makes it possible for users to personalise all the functions and graphics they need for their own operations. 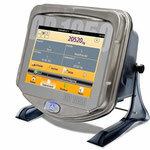 Even more proof of the system’s extreme flexibility is provided by the ability to connect up to 4 weighing machines with either digital or analogue loadcells. 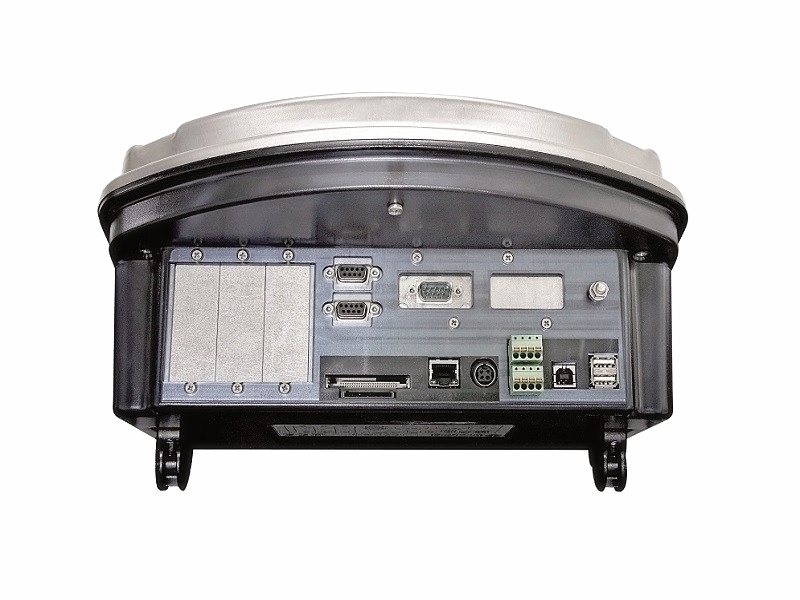 The SCALECORE set of software components allows the applications used in industrial weighing environments to be developed independently. 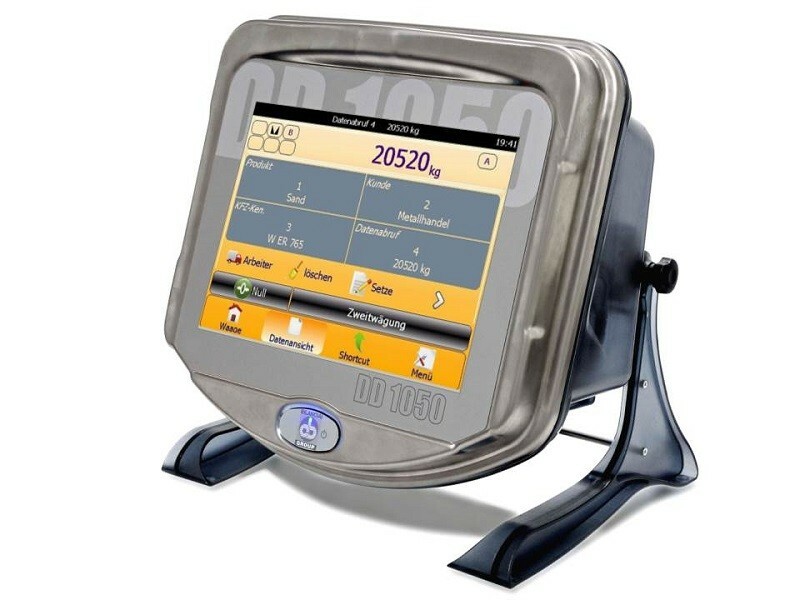 This creates a versatile modular structure with personalised graphics and the ability to manage at will the data and communications required to run the weighing equipment connected to the system. 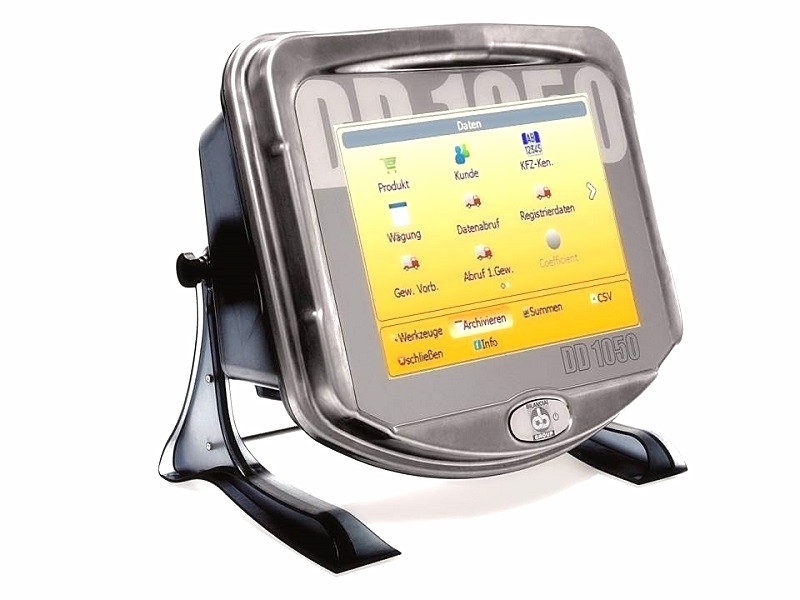 The hardware configuration, together with the programming power of the DD 1050 terminal, ensures simple connectivity with customers’ own networks and because it is possible to install drivers for various peripheral accessories, such as printers etc., these can be managed directly from the terminal. By using an SQL relational database, enhanced with remote connectivity options and flexible archive structuring, targeted data management can be achieved enabling the data in question to be easily exported to corporate databases. 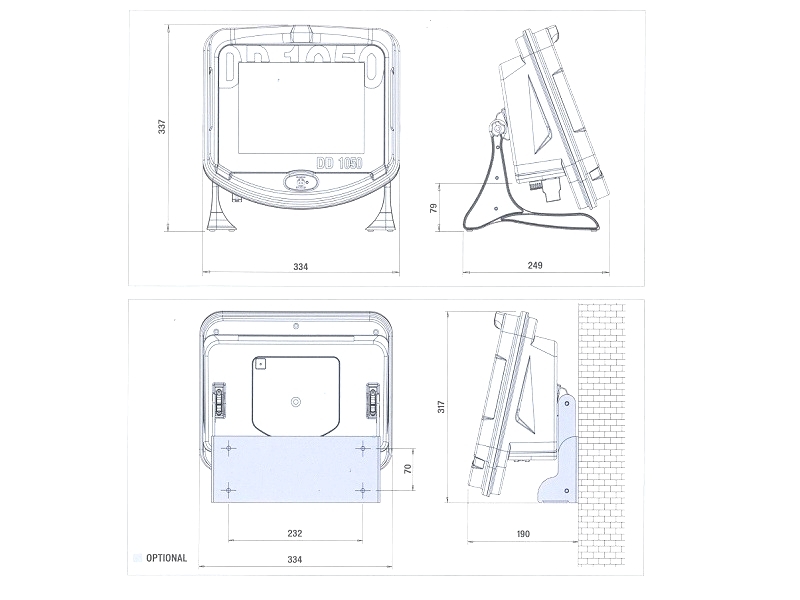 3 expansion slots (for weighing machines, serial port, I/O, field buses etc). 12 VDC power supply, 110-230 VAC with external power supply.